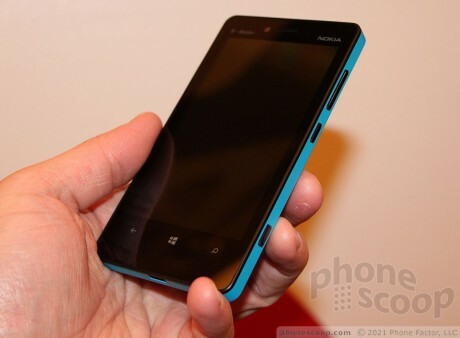 The Lumia 810 is a Windows Phone device headed to T-Mobile later this year. The design is similar to that of the Lumia 820, but there are a few subtle differences. 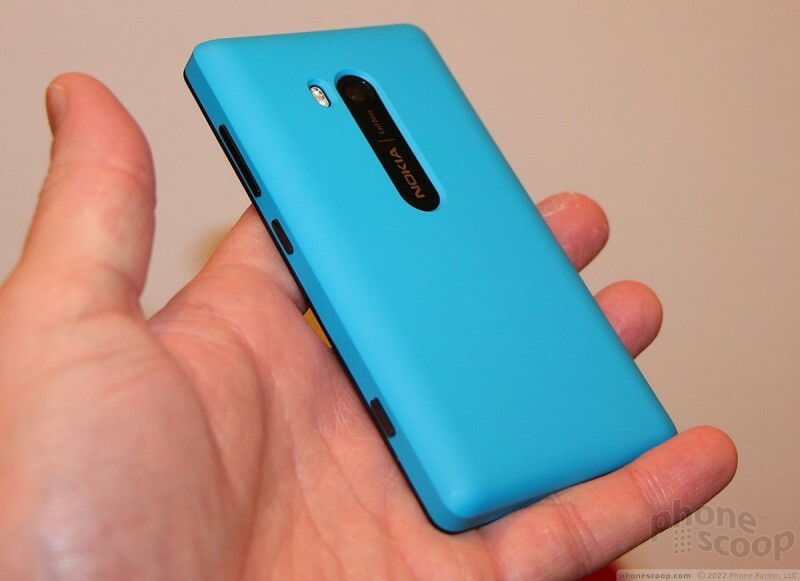 The 810 is another big and blocky device from Nokia. 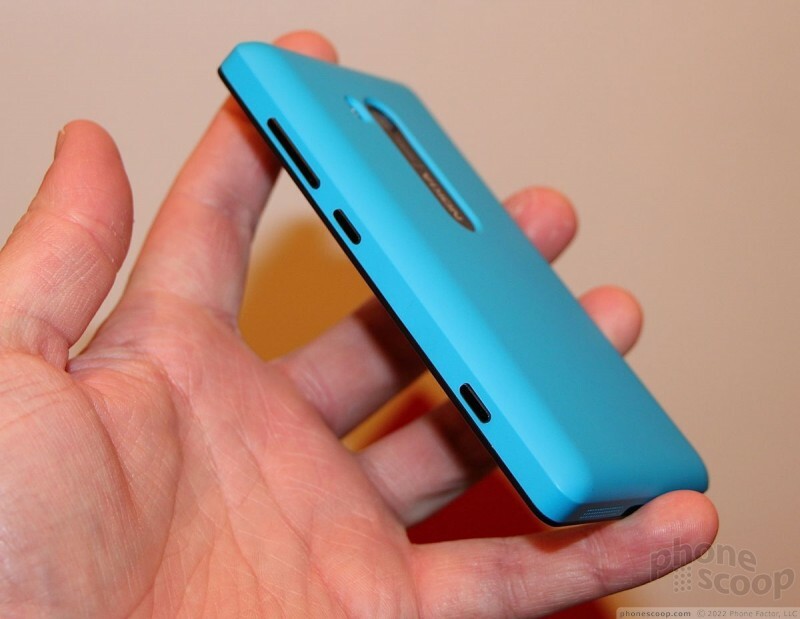 Nokia may have designed the sleekest and sexiest phones in the world from 200x - 2007, but its Lumia designs are anything but slim. 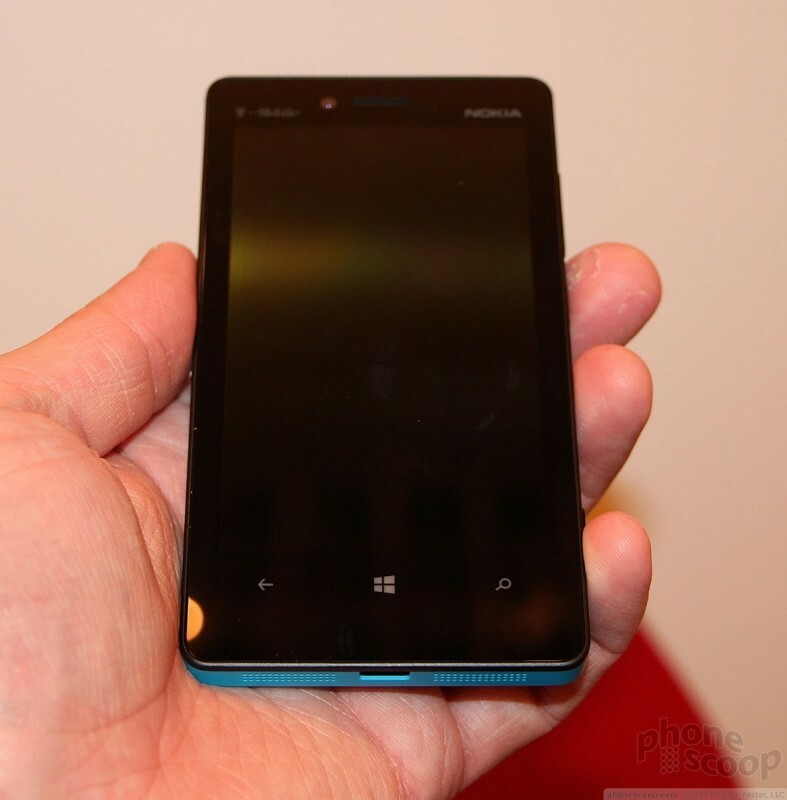 The 810 is a large device that has a hefty footprint. I can't comment on the weight, as the unit available on hand was a gutless dummy. There were no innards; it was simply a shell. 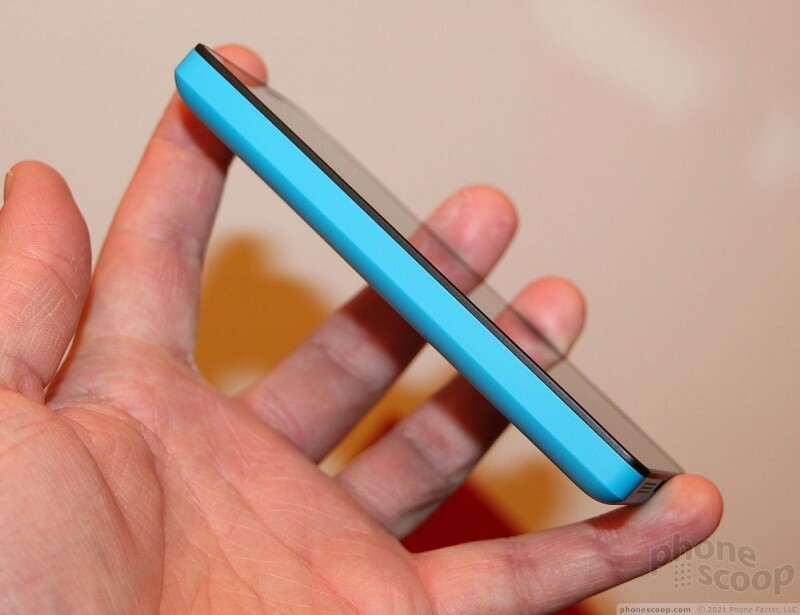 The exterior skin is made of polycarbonate, which is essentially a strong plastic. This shell felt very strong and stiff. There was no way to twist it and the dummy unit was put together well. 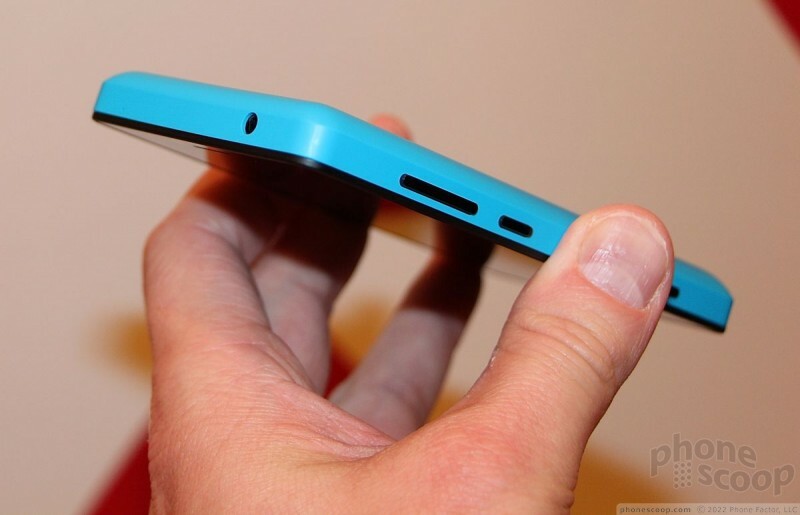 There's no denying that the cyan color is handsome, though it will be sold in other colors, too. In terms of differences between the 820 and 810, one can see that the camera and flash are arranged differently on the back of the device, as is the user-facing camera on the front (it swaps sides). Those and the shape of the polycarbonate shell are the only real differences. Since the units on hand weren't working, there was no way to look at the display, user interface, or any of the software features of the phone. 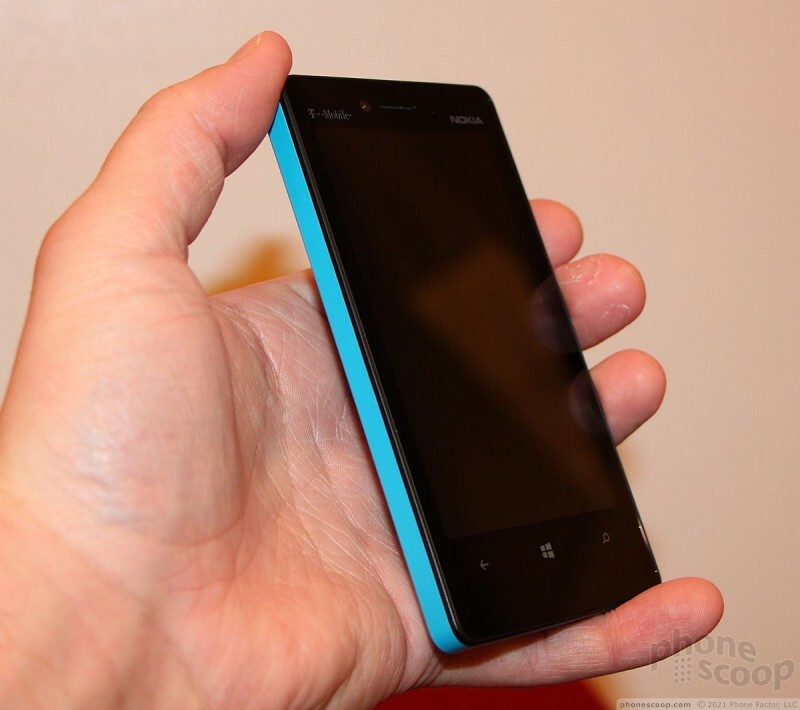 It will ship with Windows Phone 8, that's about all we can say.